When you think you have seen the best of Florence, it just got better. 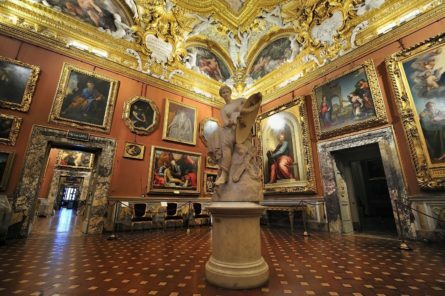 Prepare to be wowed by the Pitti Palace, a quiet, more engaging experience, while the other better-known museums are often crowded. This beautiful Medici family residence, an UNESCO World Heritage Site, is combined with gardens and a beautiful art gallery. Once we’ve wowed you with this, we will make our way to the Brancacci Chapel, where the artist Masaccio’s masterpieces inspired Michelangelo. Here, we are no longer detached spectators, we are part of the scene. To top this all off, we will walk around the Santo Spirito neighborhood on the west bank of the river Arno and explore the tiny streets and craftsmen’s workshops. At the end of our time, we will come away with a deeper understanding of the early Renaissance and how it influenced later artists such as Michelangelo.